Welcome back to Sweet Release! Bleeding Cool’s look at the new games hitting store shelves and digital platforms. Are we done yet? Dear sweet merciful heaven, can we be done yet? After last weeks huge release of Fallout 4 and Tomb Raider with Call of Duty Black Ops III and Halo 5 a couple weeks prior nobody should need new games. 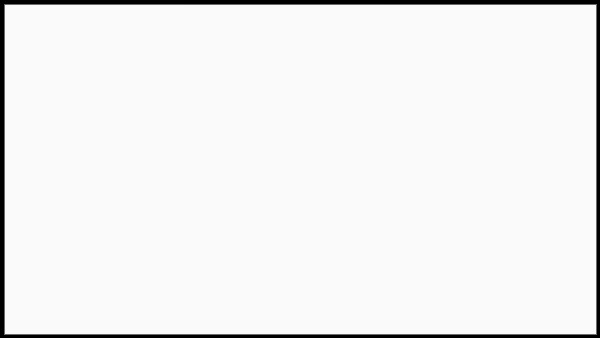 But even with all those huge titles, November rolls on with another high profile retail release that may be a challenger for the number one spot on the NPD sales charts. So strap in fur-ball because EA might have finally gotten it’s signature shooter franchise right on consoles. EA’s Battlefield series has been an anomaly. A well respected and loved multiplayer shooter on the PC, Battlefield never really brought that love to the consoles. Chalk it up to EA not having enough servers at launch, broken multiplayer or generic military settings, but Battlefield never really hit a home run on console with the exception of their Bad Company games. While EA and developer DICE have tried some different settings including this year’s police themed Hardline, they’ve stayed very grounded in reality. But it’s amazing what a year and a some changes can do for a title, for instance changing “field” to “front” and changing “modern military shooter” to “Star Wars” in this year’s entry in EA shooter series Star Wars Battlefront. 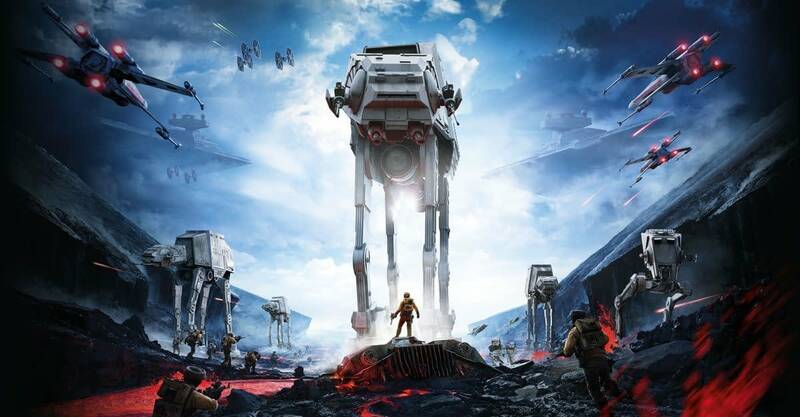 The first person shooter has you fighting through the Star Wars universe in iconic locations like Hoth, in huge battles between the Rebels and the Empire forces. Lets get the bad news out of the way immediately, there really isn’t any single player content. While Battlefront does have bots, any real fleshed out story mode is completely missing. However the multiplayer experience was apparently both very good and well received during it’s beta period a few weeks ago. Game modes include Supremacy, an area control style match, Cargo where players fight for supply drops, and Droid Run, a capture the flag game with droids being the flag. When you think Star Wars you can’t help but think of the iconic heroes and villains who enter the fray as a reward for kill streaks, including Han, Luke, and Lord Vader. It wouldn’t be a Battlefield/Front game without vehicles either, with X-Wings, Snow Speeders, and Tie Fighters available as well. It seems like the world is ready to love Star Wars again, and after a long string of mediocre games and movies, this might just be the first game out the door in a while that can recapture the attention of fans and set up for what is hopefully a great new movie. Star Wars Battlefront releases Tuesday on PlayStation 4, Xbox One, and EA’s proprietary Origin platform. Nintendo’s favorite plumber/adventure/world class athlete returns the week in Mario Tennis Ultra Smash. The seventh game in Mario’s tennis career, developed by fan favorite Camelot Studios, doesn’t do much to shake up the formula, but keeps in the classic look and feel of the series with a high definition veneer. Choose from over 15 Mushroom Kingdom favorites and take to the court for singles or doubles play with two player co-op. As with most Mario sports games, Ultra Smash is a much more whimsical take on tennis with modes like “Mega Battle” where players get mushrooms for size and strength advantages, and “Knockout Challenge” that works like Survival Mode in fighting games. Of course being a Nintendo game means vaguely defined Amiibo support which be included as well. While the features are a little light, the Mario sports games are almost always pick up friendly for a reliably good time. 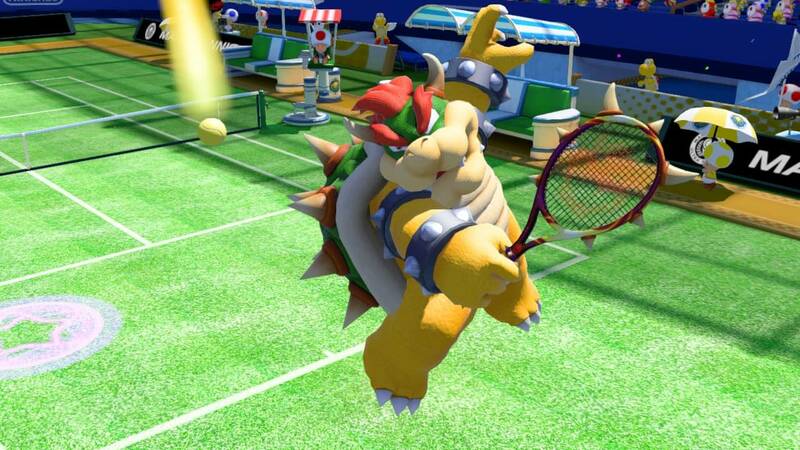 Mario Tennis Ultra Smash releases Friday exclusively on the Wii U. Developer Telltale Games has had a really busy year. With the release of Tales From The Borderlands, Minecraft: Story Mode, and a re-release of their Back To The Future Game, where did they ever find the time to finish Game of Thrones? While we patiently wait for season 6 of HBO’s dark fantasy series, we can all take some solace in the fact that the final episode of Telltales episodic version of Game of Thrones hits digital platforms this week. The adventure game series relies more heavily on story telling with light action segments, but this being episode 6 you probably knew that already. Entitled “The Ice Dragon” players finally get to see their decisions come to a head. 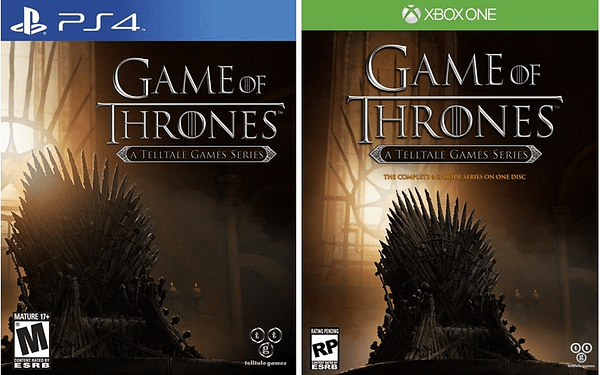 Telltale has had a habit of releasing boxed copy games with the complete season and fans don’t have to wait long as the complete first season with all six episodes comes to retail Tuesday on PlayStation 4, PlayStation 3, Xbox One, and Xbox 360. It often surprises me that it took as long as it did for Deadpool to get his own video game. I mean he was practically made for it, with his primary powers being healing and shooting, that should’ve seemed like a video game match made in heaven. But despite the fact that he was ideal for a game, it wasn’t until 2013 when the under-appreciated High Moon Studios lovingly rendered the character in 3D and released him on an unsuspecting public in his self titled game, Deadpool, published by Activision. The third person shooter didn’t set the world on fire, but was indeed a competent loving tribute to the merc with a mouth. Well, with that Ryan Reynolds movie around the corner Activision may have seen some dollar signs and decided that Deadpool needed a game on shelves, but didn’t want to put the work into a new one so we have another in a long line of re-releases. Let me be clear, Deadpool didn’t show up on anyone’s game of the year lists, but for anyone who cares about Deadpool or Marvel Comics, it actually does a great job of representing the character with writing from series favorite Daniel Way. It has plenty of nods to X-Men continuity, a ton of recognizable heroes and villains show up, and has well integrated use of Deadpool’s forth wall breaking humor. That’s not to say the game is perfect, it can get a little repetitive in both combat and combat dialog, but it does have a certain level of charm. My biggest gripe with the re-release is, other than a new coat of paint and a scant amount of downloadable content, it doesn’t seem like Activision did much else other than kick it out the door like a filthy street urchin with a pan handling cup. Deadpool releases Tuesday on PlayStation 4 and Xbox One, but if you still have a last generation console hooked up maybe go get that version on the cheap. Finally we end the week in games with another bizarre Japanese export in Stella Glow. Stop me if you’ve heard this one before: the world was on the verge of destruction, it was stopped and that power was lost and found by someone who wants to wield it for their own gain. But the clichés don’t stop, there’s an amnesiac main character who joins an ancient order of knight sworn to protect the world. There’s also some scantily clad anime ladies and witches, but you already knew that right? The game seems to have been broken up in a series of different missions comprised of “Free Time” where you’ll prepare for battle and toughen up your team and “Mission Time” where you’ll go out and do isometric Final Fantasy Tactics style combat. I really don’t mean to sound so down on this game, I’m sure it’s fine if you like strategy role playing game, (which I do) but with games like X-Com, Chroma Squad, Shadowrun Returns and more it’s hard to recommend a game that’s hitting the same JRPG clichés from twenty years ago. Stella Glow releases Tuesday on Nintendo 3DS. That’s all for this week folks. Make sure to check out my other semi-regular column, The Collector’s Edition, where I talk about some of the latest news and some random musings about retail video games. Jared Cornelius is some guy from the Jersey coast who’s living after midnight. If you’re rocking till the dawn, let him know on Twitter @John_Laryngitis. Mass Effect: Andromeda Protagonist Name Revealed In N7 Day Trailer?